How do I share a Gem Project with other team members? 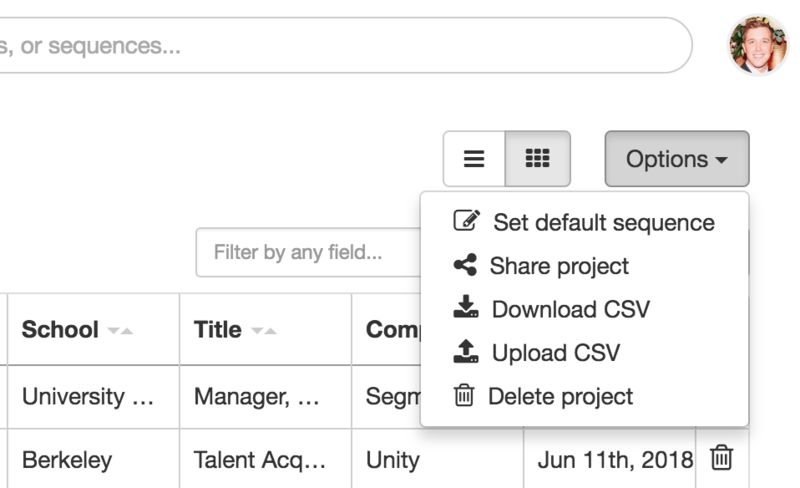 You can share (or un-share) a project with your entire team by selecting "Share Project" from the "Options" dropdown in your Project. This is a great way to create talent pools that are accessible to your entire recruiting team. This Project will now show up for the entire team in the "Team Projects" section at https://www.gem.com/projects and in the Project typeahead in the Gem sidebar. 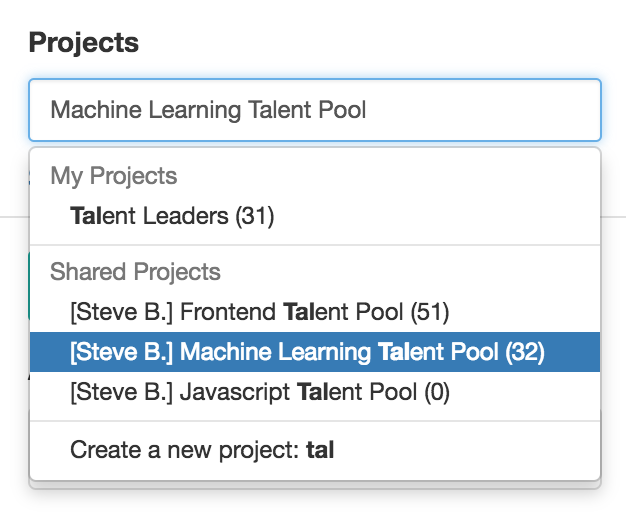 Teammates can add and remove candidates from Shared Projects. Only you can un-share the Project. To share a Project with teammates, you can copy the link to your project from the Project page. This is a great way to run a talent mapping exercise or a calibration exercise with your hiring manager. Add candidates from your project to one of their projects. Start a sequence with the candidates in your project. Open public LinkedIn profiles for your candidates. Leave a note on one of your candidates. There is no way to un-share a link to a project once you've sent it to someone. If you want to revoke all access to existing project, it's recommended you create a new project, move all of your candidates to the new project, and delete your existing project. You can only share projects with teammates on your team that share your domain. As a workaround, you can download a CSV for the project. The person you share with can open your project in Excel / Google Sheets or upload the CSV to their Gem account. Need help sharing projects in Gem? Feel free to reach out to the Gem team by emailing us directly at support@gem.com or press "Chat with Us" in the Gem home page.